Apparently, my daughter’s rats thrive in community. A couple of years ago, when her first rat died, she did some research and discovered that having two rats was much better than having only one. They live happier, healthier lives when they are in community. Who knew? And so, we had two rats. Then we found out one of them was pregnant and one month later, we had thirteen rats. But that’s another story. 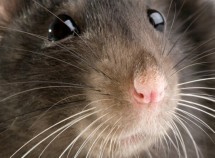 The point is, human beings made in God’s image, like rats, thrive in community. God’s intentions, from the beginning of all things, is that we have fellowship with him and with others. As the image of God is restored within us, it makes sense, then, that he would direct us, not only toward a growing and healthy relationship with him, but with others made in his image and restored in Christ, as well. Marriage is a very intentional form of community, a very specific form. As it is with God’s intentions for marriage, so it should be for our community with other brothers and sisters in Christ, too. Our relationships with one another are to be places of intentionality, intimacy and oneness – places where we share life with one another and are, in a sense, MADE (or remade) for one another. It is not good that we are alone. It is not God’s best for us. He made us for community and we thrive when we share life with others on the journey. Are you thriving in relationships with others? Or are you going it alone? What holds you back from joining with others in community? Loving God, you have made us for you and for one another. Forgive me when I think that my relationship with you is “enough.” Lead me to other sisters and brothers in Christ with whom I can share life. Teach me to reach out to others as you have reached out to me. May your grace flow through me to others on their journey. Amen. This entry was posted in Genesis for the Rest of Us and tagged Community, image of god, religion, share life, spirituality. Bookmark the permalink. Good piece.I find it that I am going it alone right now.Have been struggling to get out to church.Have even thought about giving that idea up. Scot, I’m sorry to hear you’re having to go it alone. I’m wondering where you live and if I might be able to help you find a community to connect with. Getting “back in the swing of things” is not easy, especially if we are coming back from “going it alone.” I’m going to email you and see what we can do. Peace. You’re in my prayers. Don’t give up just yet.